BCECE LE is an entrance exam which is popularly known as Bihar Combined Entrance Competitive Examination for Lateral Entry and is conducted once in a year with an aim to provide admission to the eligible applicants in different courses. Applicants who are interested in getting admission in different undergraduate courses in the field of engineering, pharmacy and paramedical courses offered in different institutes located in Bihar state needs to appear for the admission procedure conducted by the authority. With the help of the admission procedure, applicants will be able to get admission in second-year undergraduate courses offered in different government and private institutions located in the state of Bihar. No other modes are available for the applicants to fill the application form other than online mode. Applicant needs to visit the official website of the university and then applicants need to register themselves on the official website. And at the time of registration applicants need to enter some necessary details in the application form such as name, contact number, email Id, date of birth, address, etc. Applicants need to provide correct details at the time of registration as authorities will use all the information to provide notification to the applicants about the admission procedure. After successful registration applicants need to start filing the application form. And at the time of filing the application form, applicants need to enter some personal, educational, course-related, parents detail and many more additional details as needed. Applicants can fill the application form with the help of the educational qualification documents. 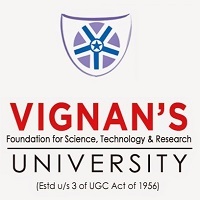 Once the application form is completely filled applicants need to upload scanned images of photograph and signature in the specified size and format mention on the official website of the university. And after that applicants need to take a printout of the duly filled application form. And then applicants need to check the information in the application form that they have provided. After that applicant are instructed to pay the application fee and then successfully submit the duly filled application form before the due date to the website. Applicants need to pay Rs 2200/- as application fee for the entrance exam by any payment gateway method (online mode) or demand draft (offline mode). Application fee depositing by bank challan needs to pay extra Rs 60 along with the application fee. In an offline mode that is pen and the paper-based entrance exam will be organized. The entrance exam will contain 300 questions (200 – 1st stage and 100 – 2nd stage). Applicants will get 2 hours 30 minutes to solve the 1st stage of the exam and 1 hour 30 minutes to solve the 2nd stage of the exam. The entrance exam will contain Objective type multiple choice questions. Each correct answer will get 4 marks. Details of the important topics and chapters for the better preparation of the entrance exam will be updated on the official website of the university by the official authorities for the reference of the applicants. In order to appear for the entrance exam applicants need to download the admit card from the official website of the university. Applicants must note that there are no other modes available for the applicants to get the admit card other than online mode. Official authorities will be responsible to release the admit card of the applicants appearing for the entrance exam. However, admit card should be kept safely till the time of admission procedure. BCECE LE 2019 Answer Key will be Available after the Exam. Other than online mode applicant will not be able to get the result of the entrance exam. Official authorities will announce the results of the applicants after few days of the date of completion of the entrance exam. It will be updated on the official website of the university for the reference of the applicants. Applicants need to download the same from the official website itself and also keep some copies of the same. In order to get admission in the institution applicants to need to appear for the counseling session conducted by the official authorities. The counseling session will be conducted on the basis of the merit list, prepared by the official authorities on the basis of the marks secured by the applicant in the qualifying exam. In the counseling, round authorities will allot seats to the applicants after document verification process and will provide admission. Applicants are instructed to carry some important documents along with them for the verification process at the time of counseling. 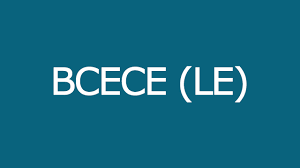 For any other queries about BCECE LE 2019, you can leave your queries below in the comment box. LE ka form kab nikle tha h which months ???? Sir I passed diploma from branch DPT (Diploma in plastics technology) Am i eligible full fill form through LE .